Sid: I’ve waited years for this moment. To end the Tizzle bloodline. I spared you before because you were just a boy. But today “Crimson Rhen”, is your day to die. Yep. Can you blame him for going by Crimson Rhen instead of Rhenford Tizzle? Well his full name is Rhenford Aloysius Tizzle. He has to act at least 20% cooler with a name like that. Hence going by Crimson Rhen. D: Rhen’s first name isn’t “Crimson”?! My hopes and dreams have been shattered. Rhenford Tizzle isn’t a very threatening name. 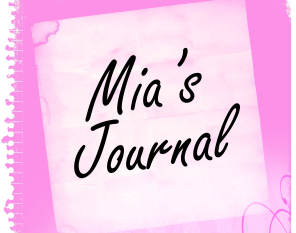 Mia has to save the Tizzle, for shizzle! Every mage family has seal, a sigil. Rhen’s… the Tizzle sigil… is based on omega. NOO!!!!! DON’T KILL RHEN!!!!! No, no, no, no, no. OOH! Tristan shows up with the auto bow, or Mia stabs Sid, or Winston tackles Sid while Mia stabs him and Tristan shoots him with the auto bow! Make sure he’s dead! (Though Sid may be the coolest bad guy ever) Ok, I’m done. Seriously, I refreshed like every 10 minutes all day today watching for the new comic. I’m pretty sure I’m addicted at this point. So sorry for the lateness! We were running behind this week due to Anime USA. It’s fine. If I had been able to drive up, I would’ve been there. (If for no reason other than to satisfy my curiosity as to what you and Kam look like) However, school (and parents) would not allow it. Hee, well that’s easy enough. I think I stretched out Rhen’s coat. Hmmm…. Well…at least we didn’t put this page up on a Friday. Although…it is about the same wait either way I guess. Always good to have more Facebook followers! That’s where we do most of our social networking. I want to give a special “Hi” and “Thanks” to the girls who were at the AUSA writing for webcomics panel. You made my day. 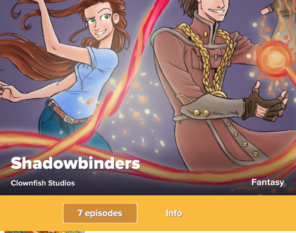 I want to say hello to your friend who liked Shadowbinders (but wasn’t there) as well. Thank you!!! Just a theory but… premonition? As in next page Mia’s going to wake up and be rather distressed? IDK very good update, nice and dramatic and explains some of the animosity between those two. Sid and Rhen go way back. So “Tizzle” might refer to the Tizzle of “Tizzle & Barret”…? Assuming Barret is Sid’s family name. Old partners turned enemies, huh? Must of been one hell of a double-crossing. Oh, there may have been some double-crossing at some point. But the Barret is actually Tristan. I suppose I can let that one slip, since it’s in the omnibus — which contains a character guide with a bunch of new background info. “Nooooooo-” Okay, sorry, I just had to say that. Also, this comic is ridiculously addictive. I can tell a lot of twists and turns are coming! Thanks for writing it. LOL..we are big Star Wars fans so that made me smile. Thank you for reading! Yes, there will be all kinds of twists and turns so hang on! Mia is sure going to scream NO! and do some amazing magic stuffs that will send Sid knocked out into the wall. But if Rhen not kill Sid he will say that it is one female mage again. Someone is going to be angry at that one survived. Based on how the colors in the background change, I think she’s dreaming and will wake up and probably, if she’s anything like me, automatically go to make sure Rhen’s okay. So Sid’s got a soft spot for kids? I can just imagine him going to an orphanage or something and spending some quality time with them. It doesn’t make him less of a villain in my eyes, though. Although, it does make me wonder how old Sid is, though, in comparison to Rhen. If he can move that well he can’t be too much older, right? Wow, Sid in an orphanage. Yeah, I can see it now. Teaching them how to hate all things, so he could create his own army of little mage killers! He probably only spared Rhen so he could get a good fight out of him when he was older. Oh man, I didn’t think of him as a sort of Johan Liebert (though likely less willing to drive them to play suicidal games). Still, it does show an unwillingness to kill children for whatever reason. Not to be overly critical, but you may want to research firearms a bit more for your artwork. 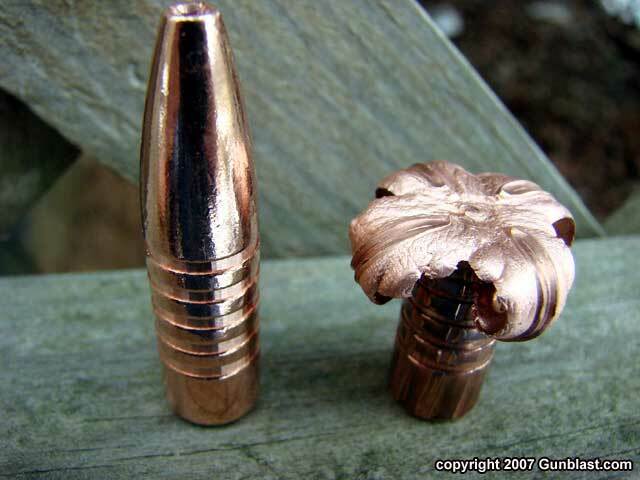 The entire bullet and brass casing does not fire from the gun end of the gun toward the target, usually it is just the lead/copper coated lead bullet at the end of the brass casing. The brass casing is usually either kept in the cylinder for revolvers, or ejected from the top/side for semi-automatic pistols depending on the design. It is a common artistic fault to depict the entire bullet and casing being fired from the weapon. Now if this is some kind of magic/steam punk weapon which doesn’t operate based on conventional black powder principles, then you really wouldn’t need to shape the launched projectile like a bullet and casing in any manner either. It could be shaped like an small arrow, or a round sphere as potential possibilities. dude, seriously, that’s the part you have a problem with? so the magic powers and dimensional travel are ok then? Short answer: Fake steampunk guns are fakey. I was thinking the same thing. Magic powers and dimensional travel can look however you want them to, because they don’t exist… But when you fire a casing with the bullet… it just looks… off. LuRa Witt probably doesn’t know anything about firearms. Nothing against the creator of the comic, of course. Little mistakes happen here and there. I’m just saying that I noticed it, too, and that I think LuRa Witt’s an idiot. Although if his gun was designed after Aperture Science turrets, it would make more sense. “Here at Aperture Science, we fire the whole bullet. That’s 55% more bullet, per bullet. Well I would appreciate no name calling on here please. We do understand that different people have different opinions all we ask is that people consider that and please be respectful of other readers and comments. 1) I’ll reiterate that there’s to be no name calling in our comments. … but I can see where it looks like a casing, yeah. Simple art mistake and one I may go back and tweak before print. Pages are done very last minute due to time constraints, and sometimes stuff like this creeps in. If it’s an egregious error, I’ll go back and fix it as I’ve done in the past. I certainly don’t mind the mistakes being caught (God knows I make plenty) but yeah, let’s not resort to personal insults. It’s just a comic book. Thanks for noting that I was trying to be constructive about what seemed off about the image to me. 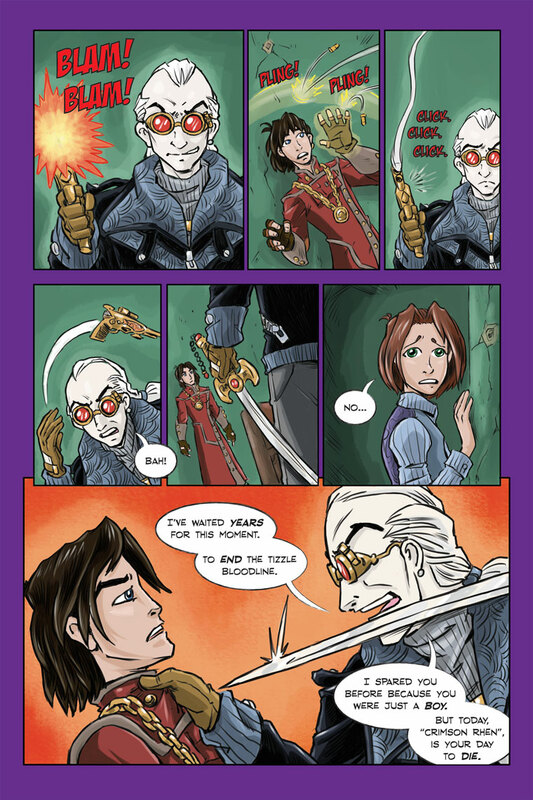 It was not meant to be insulting or otherwise a condemnation of the inaccurate use of “physics” in a fantasy steampunk comic. I was trying to point out a fairly common artistic fault when drawing bullets fired from a pistol. As far as magic guns firing magic bullets, then there is really no logical need to shape the bullet in any manner resembling a real one. When magic is in play, real world physics can be easily thrown out of the window. It all has to do with the reader/viewer’s expectations of how things operate, and whether the artist plans to meet the expectation, or deliberately break the expectation. When deliberately breaking the expectation you have informally established a “rule” that must be maintained for your universe to maintain continuity. Too many unique rules make for continuity nightmares in creating later pages however. As far as the Portal 2 guns, I am a fan of that segment where they excuse turrets firing the “whole” bullet to get 55% more bullet. It is the people at valve software deliberately playing with the common artistic fault by incorporating it into their universe as one of it’s unique rules. It adds to the humor because it is a wink and nod at the common error. No worries. Readers catch stuff all the time. The only thing I had an issue with was the name calling (not by you). It’s just funny books, after all. I agree completely that if that’s the way this universe operates, that’s just how it is and there’s nothing wrong with that. Well, I didn’t appreciate LuRa Witt making fun of Kelly Martin for offering some constructive criticism. That was my first time commenting, so I won’t call anyone names in the future. Nah. If you look back over our history of comments you will see we have no problem with constructive criticism. Often, we adjust if we feel it is something that we should fix. I just don’t want tempers and comments getting out of hand (on both sides.) We LOVE the comments section and want to keep it going. It is very helpful to us as well. Here at Aperture, we fire the WHOLE bullet. That’s 63% more bullet, per bullet! Also, apparently it screws with the accuracy something fierce. Or maybe that’s just the Stormtrooper Marksmanship Academy doing its fine job. MOAR Shadowbinders? “Why don’t [you] update more often?” is the most common question/complaint we hear. And we DO have an answer. A really simple one, in fact. Well if the bullets are the only complaint I consider ourselves lucky! The bullets were drawn quickly (as we have to get 2 pages out a week and have to push it) they were not meant to appear to have casings on them. That was completely unintentional. That being said, look, we do what we can. And y’all do a terrific job at that! Honestly, it’s just silly to nitpick about stuff like the appearance of a casing on the bullets. I didn’t even notice and I shoot all the time with my family. And you do this for free! Though I plan to do my part in supporting it once I have the money by buying the book. It’ll be easier than clicking through the archives daily. Thanks! I have no problem with constructive criticism. We know there are things we’d do better if we had more TIME. Like… um… research and stuff. But yeah, we do what we can do given the time constraints. Hey wait a minute, It wasn’t a mistake. This is a different world. Maybe thats how the bullets look in that world. I don’t see any complaints about the bullets. I know how hard it is to do several a week too…I have the same complaint with my sons comic – wizard of quippley – he has full time job as well. Do as many as you can because this is great!!! Is it just me or does Rhen not look too worried? I’m expecting a delayed reaction trick out of his spell that he fired off. He’s too crafty to stand and take a sword to the throat. New page tonight or tomorrow AM. 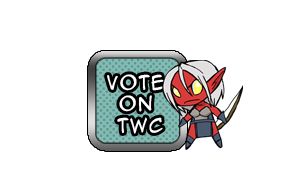 We’ve been a little behind the eight ball this week due to Anime USA. Huh. I’m guessing how Rhen get’s out of this one is that Mia frantically wishes that they were both as far away from possible from here and..VOILA. Then, welcome to Earth!